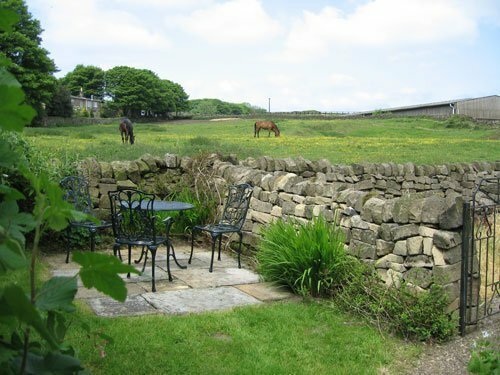 Guests keep returning to this little gem of a holiday cottage in Ashover in Derbyshire with its lovely views and cosy interior. 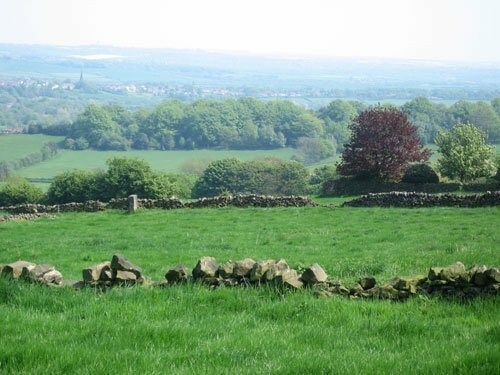 If you are looking for peace and tranquillity in a beautiful setting then you will find it here in the farming hamlet of Alton in the parish of Ashover in Derbyshire. 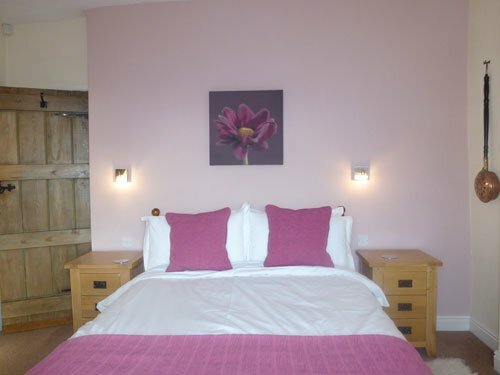 Foxglove Cottage sleeps up to four people in two bedrooms but it is also really popular with couples. There is an open log fire and a private garden plus parking for two cars. 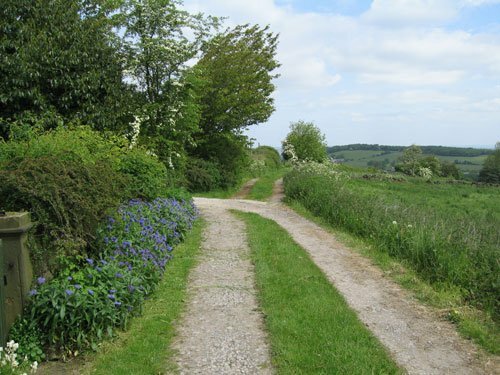 Our friendly village feels off the beaten track but it is actually very accessible, just a few miles from the Crooked Spire market town of Chesterfield and well placed for exploring Derbyshire and the Peak District. 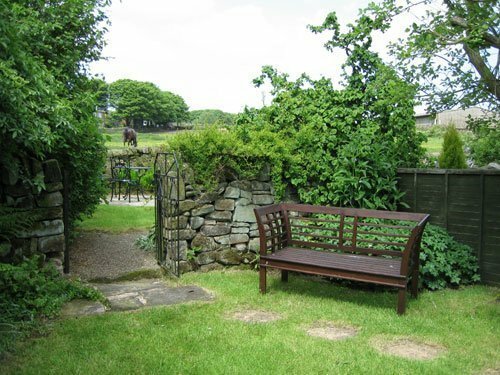 There is excellent walking from the doorstep and you are welcome to bring one dog to stay in this cottage. Wardrobe, drawers & dressing table. Wonderful views from the window. 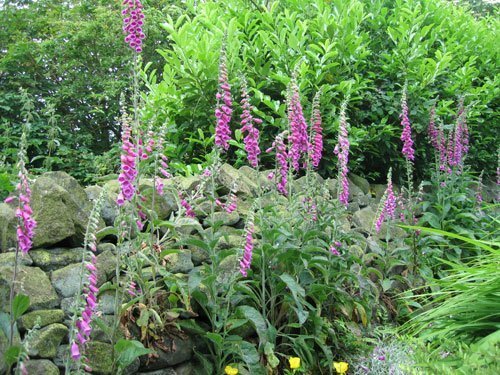 Foxglove Cottage is open throughout the year and is available for short breaks and longer holidays. See availability and prices or special offers and late deals for last-minute getaways. Booking is easy and we offer a range of booking and payment options. See our Frequently Asked Questions or booking conditions for more information. 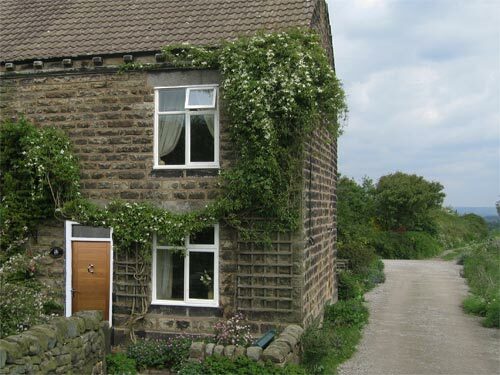 Foxglove Cottage is a self catering holiday cottage with accommodation ranged over two floors. 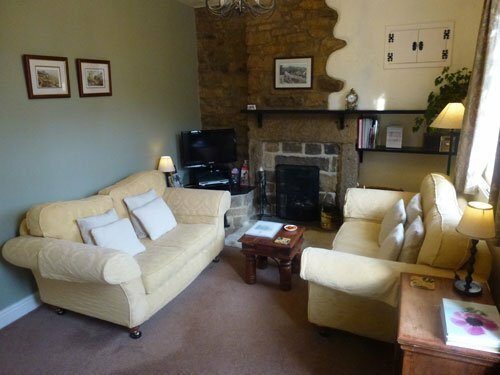 On the ground floor there is a cosy sitting room with an open log fire and a kitchen/diner. There are stairs leading from the kitchen down to the cellar – the freezer and tumble-dryer are in the cellar. On the first floor there are two bedrooms. 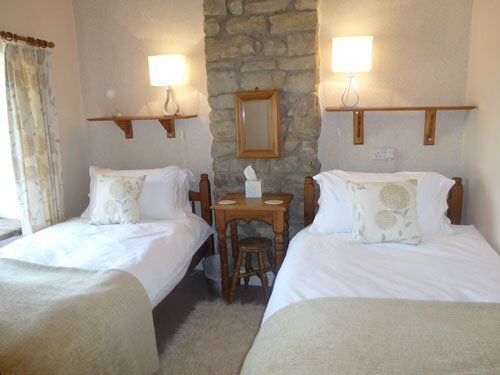 One of these has a double bed and the other has two single beds. The bathroom is also on the first floor. 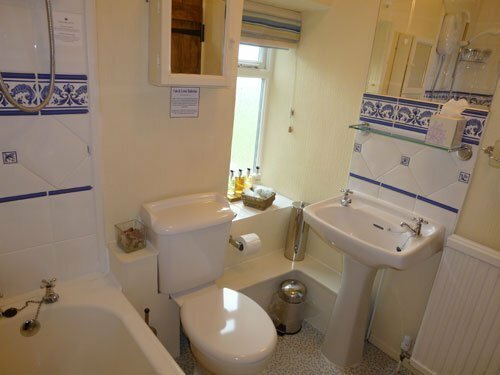 This has a bath, a shower (over the bath), WC and hand-basin.